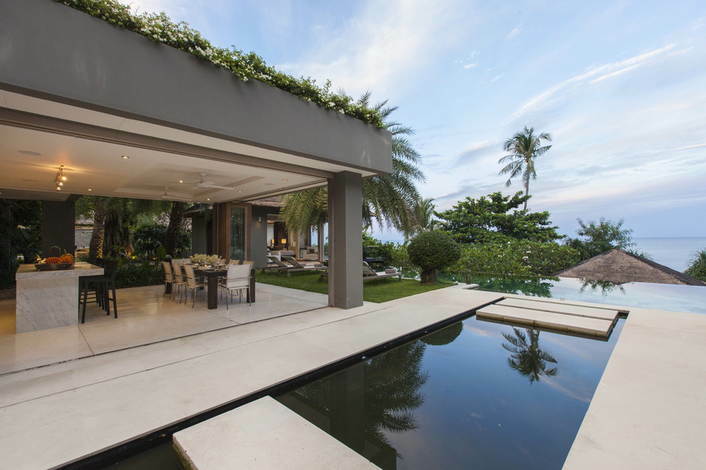 As we offer apartments and villas for rent in Koh Samui we would like introduce you to one of the most beautiful Island of Thailand and point out some of the many interesting places on Koh Samui. Koh Samui is an island located in the Chumphon Archipelago in the Gulf of Thailand, some 700 km south of Bangkok and about 80 km from the eastern coastline of Southern Thailand. It is Thailand’s second largest island after Phuket, with an area of 228.7 km2 and a population of over 63,000 attracting 1.5 million tourists per year. 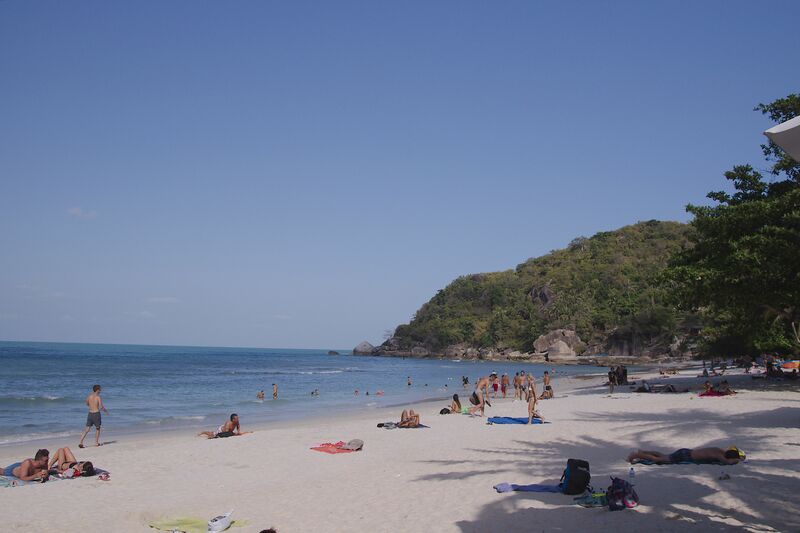 Koh Samui has abundant natural resources, white sandy beaches, coral reefs and coconut trees. It is part of Mu Ko Samui. Hin Ta and Hin Yai, some fascinating rock formations on Koh Samui’s south coast, have been a source of mirth and wonder on the island since they were discovered by the locals many years ago. Art often imitates Nature, but less common is Nature imitating Art, especially the Art of the Ribald. But in Thailand anything is possible and these rocks, known as Grandpa (Ta) and Grandma (Yai), look, respectively, like male and female genitalia. 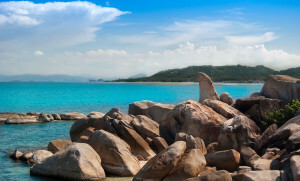 Set on the rocky coastline between Lamai and Hua Thanon, Hin Ta and Hin Yai raise indulgent chuckles or embarrassed titters from those who go to see them. This unusual and titillating sight has, naturally, given rise to a legend explaining how the rocks came into being. 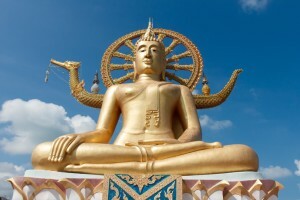 This 12 meter gold statue of the Lord Buddha in a seated position is one of Koh Samui’s most popular attractions. 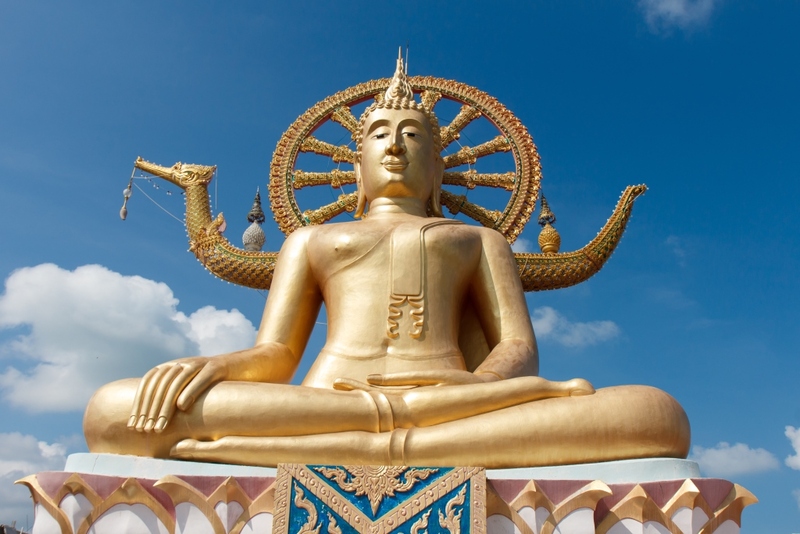 A peaceful place to come, relax and contemplate, this Koh Samui landmark is a must for visitors to Koh Samui. 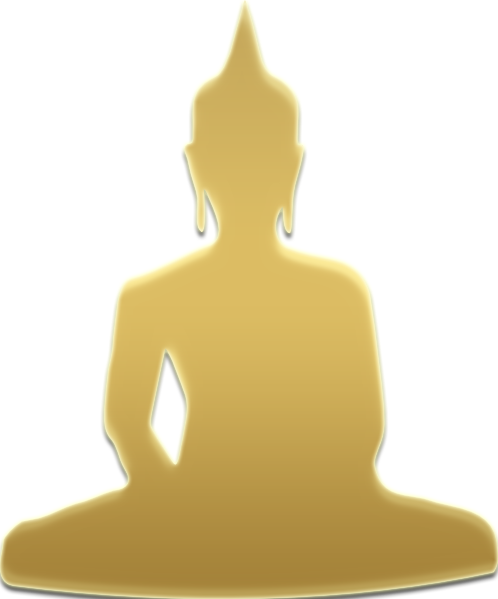 The Big Buddha resides at Wat Phra Yai, which is located on Koh Fan. Koh Fan is joined to Koh Samui by a short causeway. There are many shops and restaurants around the Wat. The most beautiful and easiest waterfalls to get to are, Na Muang 1, 18 meters high and can easily be reached by foot or vehicle. And Na Muang 2, 80 meters high and can only be reached by a 30-minute walk. These are the places where you can cool off with a refreshing dip in the pool below. 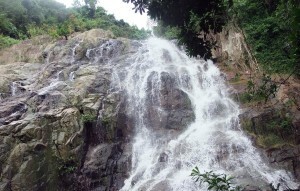 If you fancy a jungle walk, head to Hin Lad Waterfall. Here a 2 km path winds its way through lush foliage to the picturesque spot. 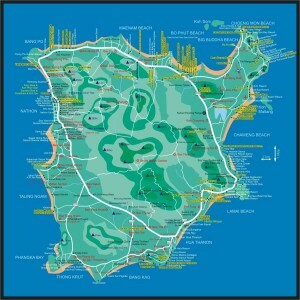 A must for all nature-lovers and well marked on any tourist map. 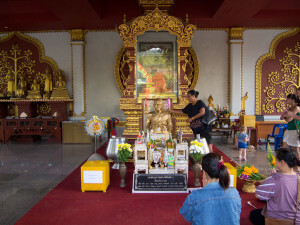 At Wat Kiri Wongkaram you will find the well-preserved, mummified body of the monk named Loung Por Ruam. He was placed here 25 years ago and looks remarkably good. You will find this Wat south of Nathon, close to Taling Ngam, off route 4170. Look for the huge elephant gates and you know you are on the right track! Thai Boxing or Muay Thai is Thailand’s National Sport and is one of the world’s most demanding contact sports. It takes long and hard training to excel in this discipline and more and more people worldwide are becoming interested and are taking this sport up. Come and watch up to 10 fascinating bouts of undiluted excitement every Monday, Wednesday and Saturday, starting at 21:00. Ko Samui is a fairly big island. The most popular and commercialised beaches are Chaweng and Lamai, while the northern beaches and their adjacent villages of Mae Nam, Bophut, Bang Rak (Big Buddha) and Choeng Mon are more peaceful choices, and the west coast beaches are still (comparatively) quiet. Update: Bophut and Choeng Mon are not much good for swimming because of murky seawater. Chaweng and Lamai have much clearer seawater, so better for swimming. 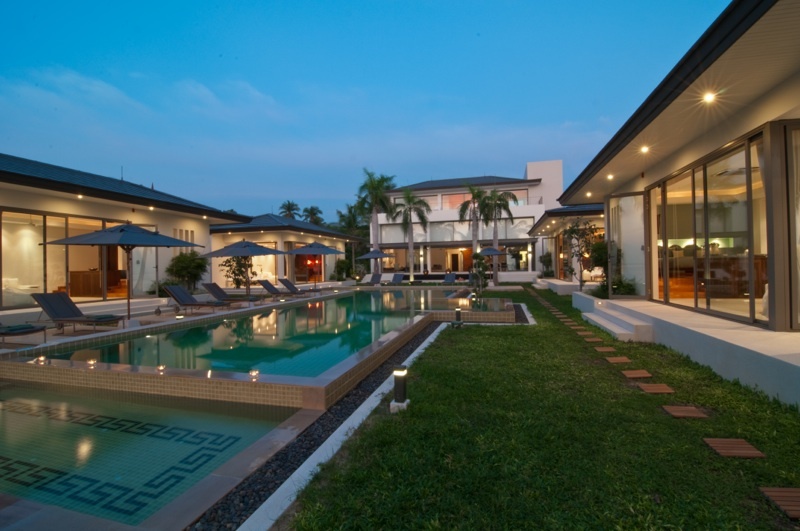 If we have piqued your interest in spending your time in Koh Samui we can offer the best apartments and villas for rent and sale as well. Please do not hesitate to contact us for further information. 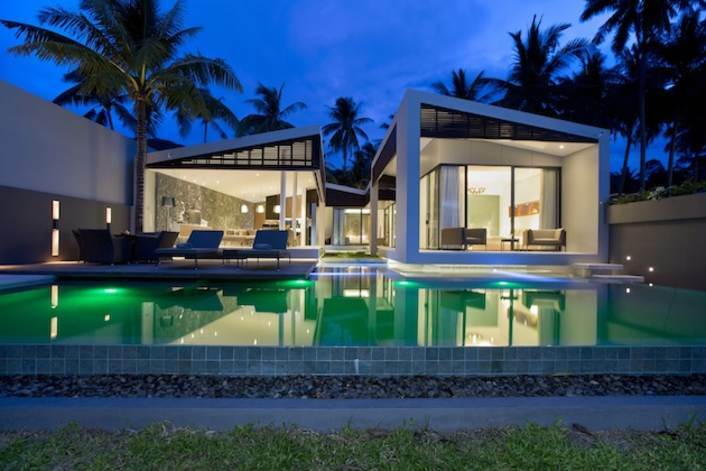 We provide you not only the best maintained apartments and villas of Koh Samui but also strive to satisfy your requirements and meet your expectations.